It's true that Santa has a sentimental heart, which is why he is so generous with his presents. This year Santa has his eye on a special someone. Post this festive emoji on someone's timeline to let them know you're sweet on them. 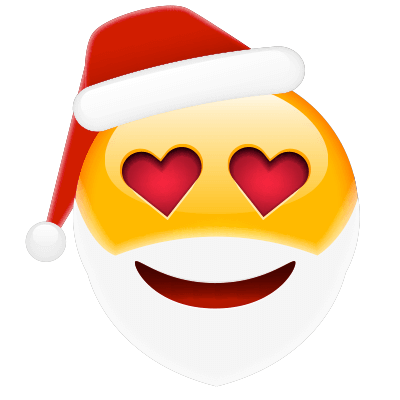 We have many holiday emojis for you to choose from. You can share them each time you visit Facebook during the holiday season.